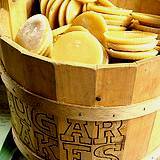 Discover one of the sweetest Pennsylvania festivals at the Pennsylvania Maple Festival in Somerset County, Meyersdale, PA. 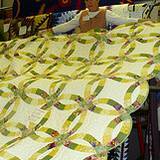 Enjoy all things Maple along with stage shows, historical events, crafts and unique quilts. As you stroll through this Pennsylvania festival you'll see costumed historic interpreters of the early settlement of Meyersdale and you'll learn the Legend of the Magic Water. It's a day you'll remember and want to enjoy year after year. 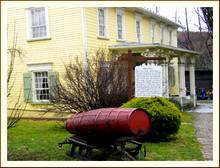 You can tour the Historic Meyers Homestead during the Pennsylvania Maple Festival. It was built in the early 1700's. The property exchanged hands through this period until Peter Meyers and his wife took possession in 1828. Peter Meyers was known as an upstanding citizen in the community and after his death in 1870 the community decided to name the town of Meyersdale in honor of Peter Meyers in 1874. Over the years Meyers Manor played host to many famous people. Probably the most famous person to spend the night there was President Ulysses Grant. In 1964 the house was acquired by the Pennsylvania Maple Festival and renamed The Maple Manor. A gallon of maple syrup weighs 11 lbs. The mapling season may least 8 to 10 weeks but the heavy sap may run only 10 to 20 days. The maple season ends with springs warm nights and the first sign of the tree budding. 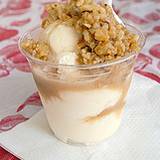 The American Indians celebrated the "maple moon" or "sugar moon" as the return of spring. They hacked the maple trees with tomahawks and collected the sugar water in troughs or crude vessels. The Indians condensed sugar water or sap by dropping heated stones in wooden troughs containing the liquid. 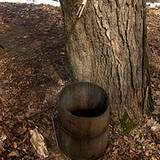 There is so much to learn about making maple syrup and maple sugar, it's a delicate process like no other. 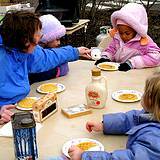 You can learn all about it when you visit The Pennsylvania Maple Syrup Festival this year. Admission: Adults $4.00 Children 6-12 $1.00 under 5 FREE!